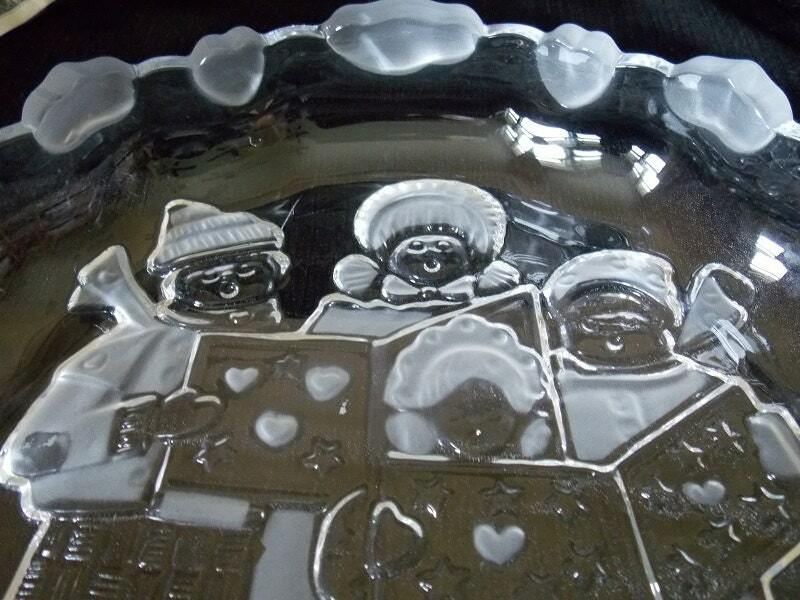 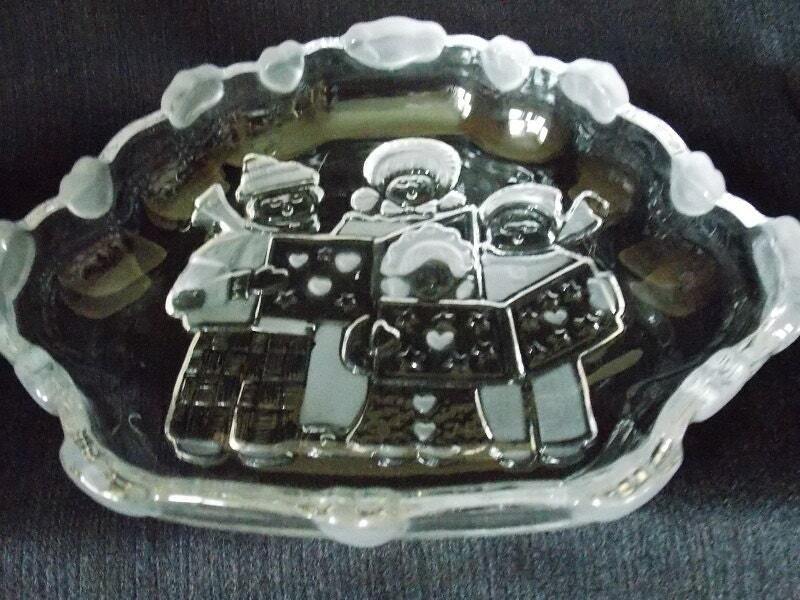 This vintage Mikasa crystal dish is a beautifully embossed Christmas scene featuring four carolers in frosted glass design on its bottom. 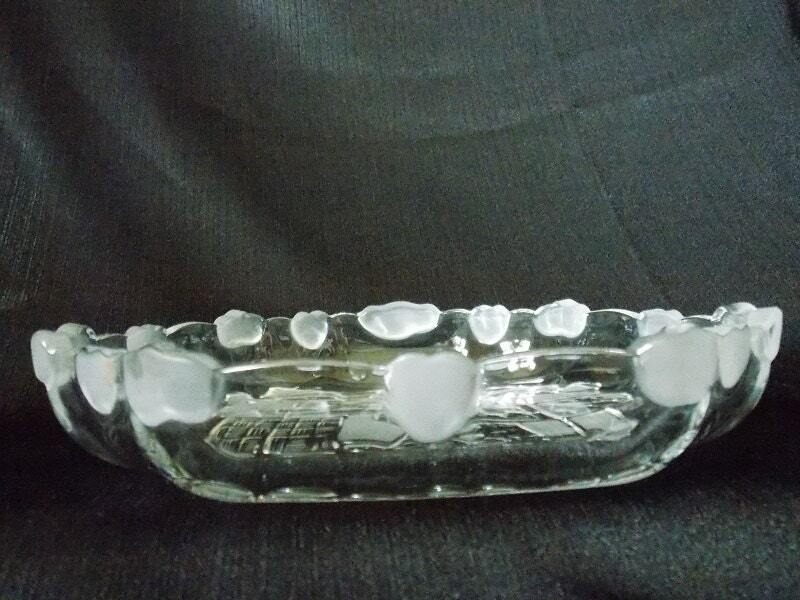 There are different size frosted hearts running around a scalloped edge. 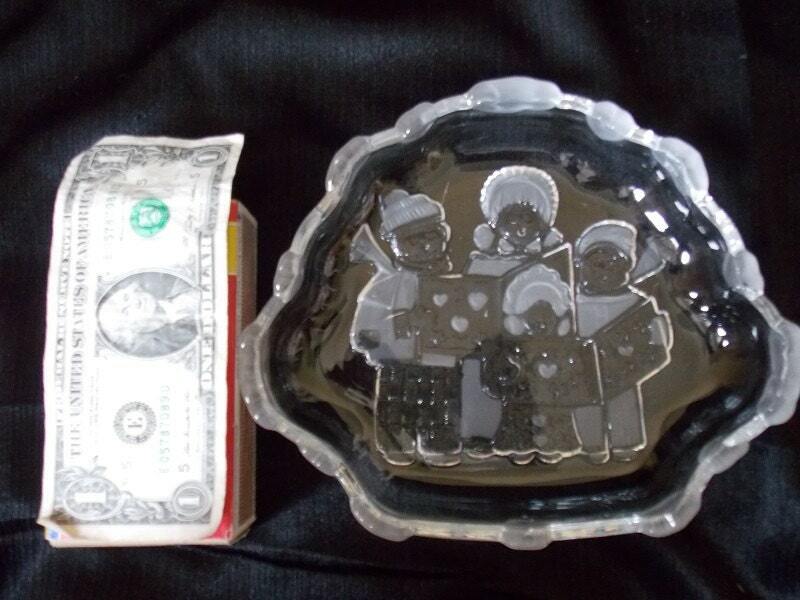 This dish will come boxed in the original box. 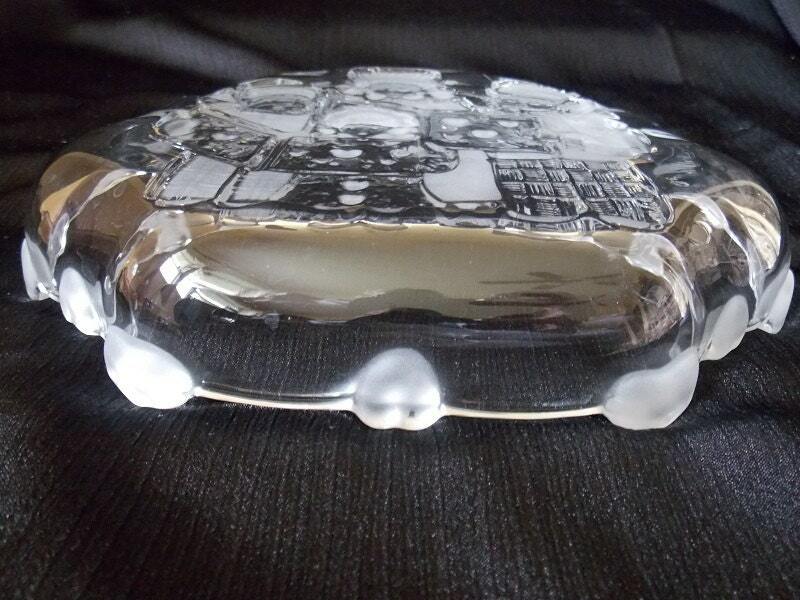 Perfect parties or as a stand alone piece.